Note: Items reproduced on the RPG Compact Disc CDNF 150524 (2003) are identified with an asterisk * and a date in square brackets. The dates given on the CD sleeve-note do not always correspond to the dates given in the 78rpm catalogues. I assume that the RPG dates refer to later LP sources. 3 Akashvani AIR3 (2005): Todi; Ramkali; Bhajan: mat kar moha. 4 Akashvani AIR4 (2005): Miya malhar, Gaud malhar, Bhajan: thuman chalat. Khambavati / Chayanat / Maluha kedar / Gandhari / Sindhura (chaturang), Nayaki kanada, Jaijaiwanti, etc. 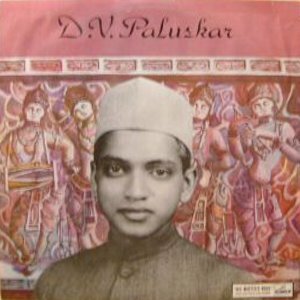 I am grateful for help with the above to Alain Danielou, A Catalogue of Recorded Classical and Traditional Indian Music (Paris: Unesco, 1952). I am grateful for the first photo to Suresh Chandvankar, and to Kalyan Bhuta for suggesting corrections and additions to the above. The second photo is borrowed from and hyperlinked to Karl-Michael Schneider's list of HMV Recordings. Information on the CBS 1988 LP is courtesy of Vivek Khadpekar and Anup Jalan. 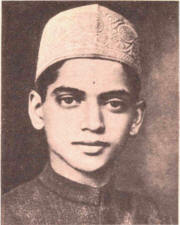 An autobiographical excerpt from G. N. Joshi's Down Melody Lane (1984) can be found at the Chembur.com web site. It recounts how he recorded and edited Raga Shree. He was also responsible for the material reproduced by CBS.